Brand new Ruby KT88-VSTR, solid plate, triple getter. These are manufactured in the Chinese Shuguang factory and are among the finest current production KT88's available with excellent reliability, focused sound stage, wide linear frequency response, and tight focused low end. We've sold these previously as the Penta Labs KT88SC's. Same tube as the Preferred Series KT88. The tubes sound great. I love the way they pump out the bass and crystal clear vocals! I have about 30 hours listening to them and the bias is holding good. Thanks for the great customer service and super fast shipping. 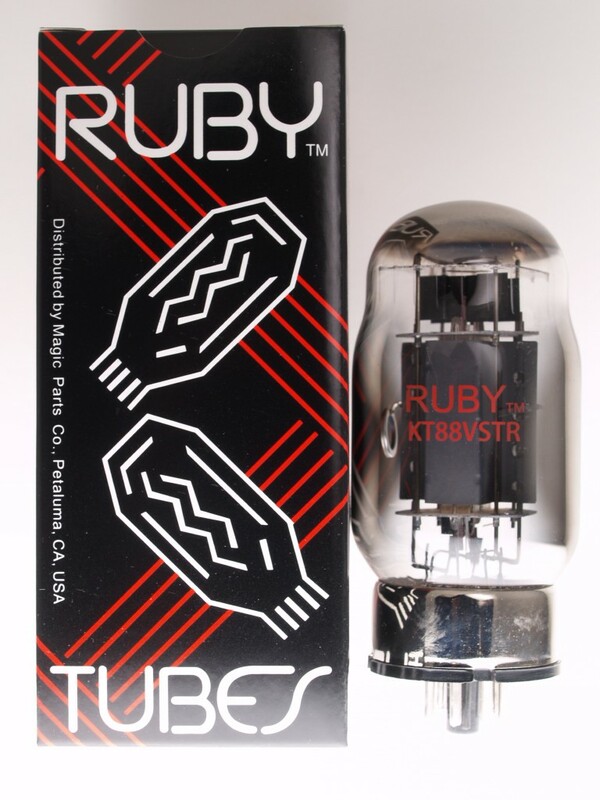 So far I have about 50 hours on the new Ruby tubes. They seem to sound as good as the previous Penta KT88sc I had in before. They have held their bias perfectly. I hope you will have sufficient stock for a while. Have a great weekend.